Day 03: Fly to Lukla and trek to Paiya (Chutok) -(2730m/8954ft) (3-4 hours). 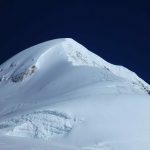 Day 04: Paiya to Pangkoma – (2850m/93,48ft) (5-6 hours). Day 05: Pangkoma to Nigmsa(Shibuche) -(2745m/90,003ft) (4-5 hours). Day 06: Nigmsa (Shibuche) to Chetrakhola – (3150m/10332ft) (7-8 hours). Day 07: Chetrakhola to Kothe – (3600m/11808ft) (6-7 hours). Day 08: Kothe to Tangnang – (4,350m/14,270ft) (3-4 hours). Day 09: Rest & some Hiking to Charpate Himal glacier. Day 10: Tangnang to Khare – (5,045m/16,486ft) (2-3 hours). Day 11: Rest Day in Khare. 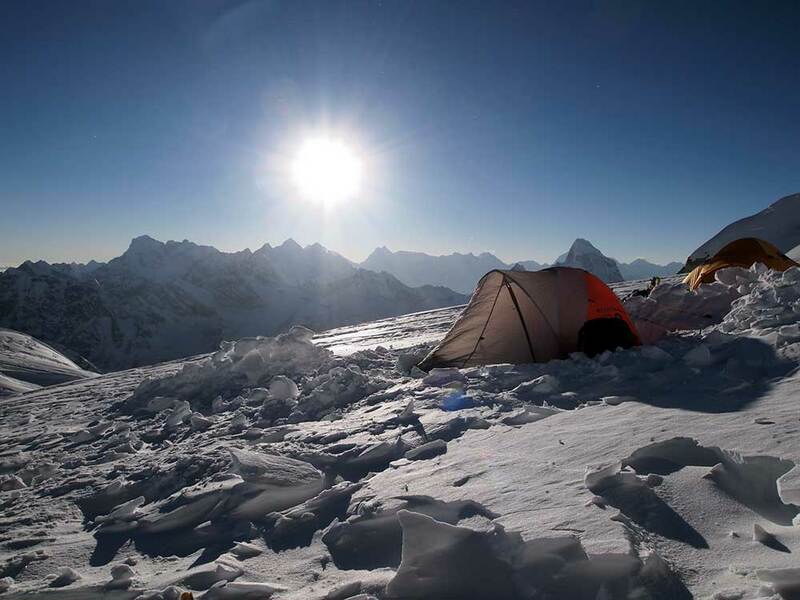 Day 12: Khare to High camp – (5,780m/18,958ft) (4-5 hours). 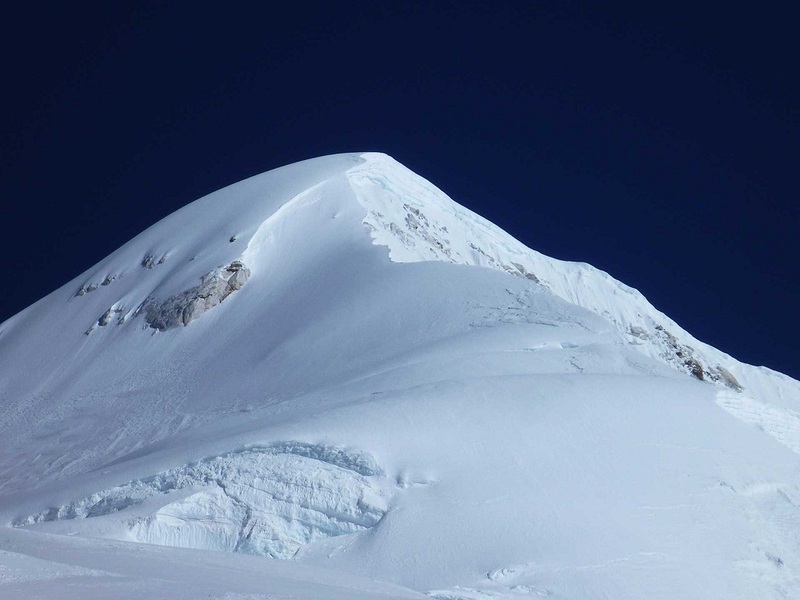 Day 13: High camp to Mera Peak Summit to Kongma Dingma (4850m/15912 ft) (9-10 hrs). Day 15: Kongma Dingma to Seto Pokhari – 5035m/16519 ft. 6 hrs. Day 16: Seto Pokhari to Baruntse Base Camp – 5300m/17388 ft. 6 hrs. Day 17-27: Baruntse Climbing Period. Day 28: Rest and Pack up day at the Baruntse Base Camp. 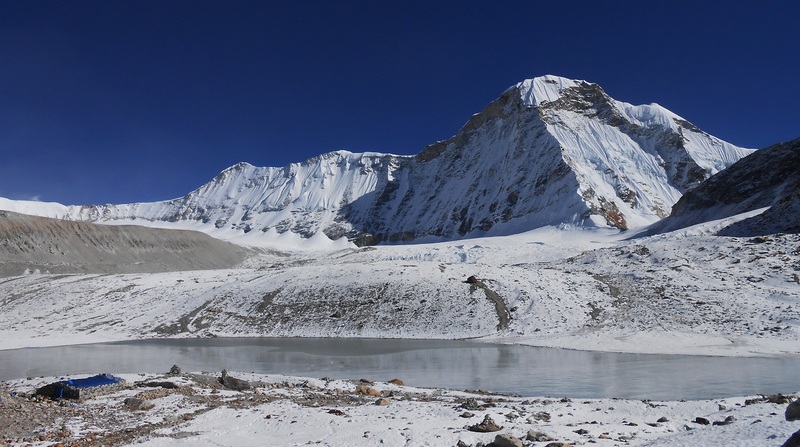 Day 29: Baruntse Base Camp to Amphu Labsta Base Camp- 5650m/18536 ft. 4-5 hrs. 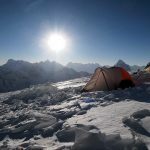 Day 30: Amphu Labsta Base Camp(South) to Amphu Labsta Base Camp(North) – (5300m/17385 ft) (5 – 6 hrs). Day 31: Amphu Labtsa Base Camp to Pangboche – (3930m/12893 ft) (6-7 hours). Day 32: Pangboche to Namche Bazaar – (3440m/11286 ft) (5 – 6 hrs). Day 33: Namche Bazaar to Lukla – (2800m/9186 ft) (6-7 hrs). Day 34: Lukla Fly back to Kathmandu.